Consumer's food and nutitional security and safety must be ensured for daily consumption for a lifetime. However, risk assessment in food remains complex and faces methodological limitations. 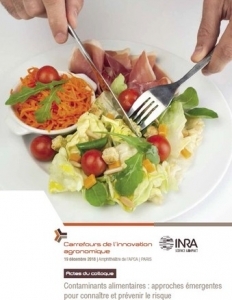 Jean-Pierre Cravedi, research director INRA, TOXALIM Research centre in food toxicology, Deputy Head of Department "Human Nutrition"
Isabelle Oswald, research director INRA, TOXALIM Research centre in food toxicology, Inra Occitanie-Toulouse; laureate of the Grand Prize of Agricultural Research 2018.